Sources tell Arutz Sheva IDF Chief of Staff Gadi Eizenkot is boycotting Chief Rabbi Yitzhak Yosef, cancelling planned meeting with him. The IDF Chief of Staff, Gadi Eizenkot, has cancelled a planned meeting with Chief Rabbi of Israel Yitzhak Yosef, senior sources told Arutz Sheva. The CoS and Rabbi Yosef were scheduled to meet later this week, amid simmering tensions over the army’s new regulations regarding mixed-gender combat units. The cancellation comes after Rabbi Yosef backed comments by Tzfat Chief Rabbi Shmuel Eliyahu criticizing the army’s plans to expand the number of mixed-gender combat units in the IDF. 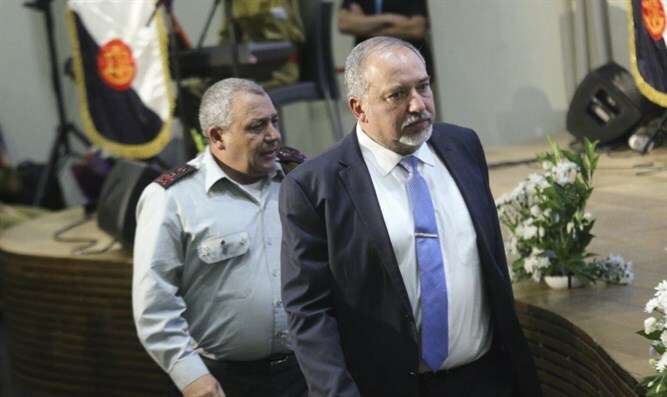 “Not even the Chief Rabbi, nor any other rabbi, can call for the dismissal of the Chief of Staff, or to call on [young Israelis] not to enlist, and still take part in any IDF ceremonies,” said Liberman. Last week, Rabbi Eliyahu called for Eizenkot’s dismissal, blaming him for the decline in motivation among IDF draftees.